LEICESTER CITY TICKETS SEASON 2018/2019. 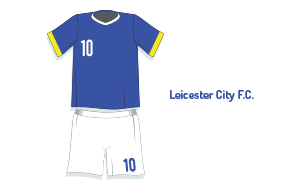 Leicester City Football Club, knicknamed as "The Foxes", is an English football club based in Leicester, UK. Their home ground is the King Power Stadium. The 2015-2016 season, Leicester City surprised the entire world by winning the English Premier League, their first top-flight football tournament. Having been promoted from the Football League Championship in 2014 and after avoiding relegation in the 2014/2015 season, the Foxes completed one of the greatest sporting upsets ever. The club also holds six Second Division titles (prior to its becoming known as the Football League Championship) and one League One title. They have won the League Cup three times (the highest total of a club who has never won the League or the FA Cup), and have been FA Cup runners-up four times. Leicester City has only spent one season outside the top two tiers of English football. Buy Leicester City 2018/2019 tickets online!